A new range of characters to develop the ultimate collection. 8 new and unique Skylanders, one for each element group. 24 redesigned Skylanders with increased powers, level caps and abilities. For ages 7 years and over; EAN/MPN/UPC/ISBN: 5030917115097. WARNING(S): Not suitable for children under 3 years old. 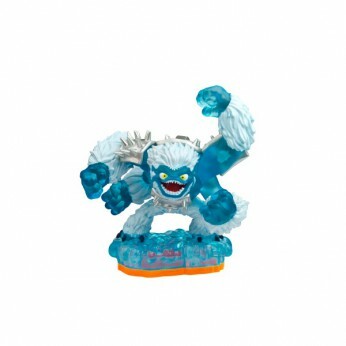 This toy costs approximately £6.74 (for the latest and best prices make sure you check our retailer list for the Skylander Giants: Single Figure – Slam Bam above). In our review of Skylander Giants: Single Figure – Slam Bam we classed it as being suitable for ages 8 years, 9 years, over 10 years but recommend you check the manufacturer specific advice before purchasing.